You’ve no doubt heard of HubSpot, which is the marketing automation platform for a form of digital marketing known as inbound marketing. But do you know what inbound marketing really is? So what is inbound marketing? A short primer, below. 1. Inbound delivers what YOU want: highly targeted prospects. Yes, you want visitors to come to your website. But you want the right kind of visitors: those who need or want what you’re selling and who can afford your price point. Getting lots of visitors to your site means nothing if they a) don’t want what you offer and/or b) can’t afford it no matter how much they may want it. 2. Inbound marketing gives your prospects what THEY want: information and facts. You get those über-targeted prospects because your website offers them a vast amount of well-researched, well-written and engaging content that answers the questions and concerns they have regarding how to solve a problem or goal they are looking to overcome or meet. Consumers and buyers no longer purchase based on what a salesperson tells them: they fire up their favorite search engine, type in some keywords related to their questions/concerns and then read, read, read, watch, watch, watch, and listen, listen, listen to the blog posts, white papers, infographics, podcasts, videos, and other content that show up in their search results. Your digital marketing efforts are all about creating informative content containing the keywords prospects use to make sure your blog, infographic, video, etc. shows up high in the search results. 3. Keep giving those prospects what they want – information – and then get their contact info. In short, inbound marketing takes it all a step further than “plain” digital marketing in that you provide information that attracts your prospects to your site, delights them and gives them the information they want/need. Throughout their buyer’s journey with you, you offer them free reports that delve in-depth into a particular issue or question you know they have (you know this because your research into your perfect prospect tells you in detail what concerns these folks have). You give them these in-depth free reports in exchange for their email address. Voila! 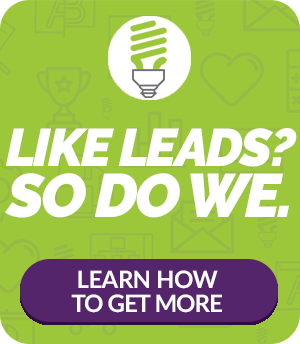 You now have true leads, leads to whom you continue to delight with in-depth information that allays their fears, answers their questions (even the ones they may not know they have) and gives them incredible detailed and specific information. 4. You provide different types of information depending on where your prospects are in their journey to becoming customers. Inbound marketing segments your prospects into different funnels, depending on where they are in their relationship with you. You wouldn’t, for example, want to offer potential graduate students who accepted your offer to come to a seminar about your accelerated MBA program infographic that explains how an accelerated degree program works. These types of prospects are middle-of-the-funnel (also known as MOFU) prospects. The infographic would be better offered to website visitors who have just arrived to your site as a free incentive in order to acquire their contact information. In other words, the content you provide prospects becomes more sophisticated as they continue their journey with you. You also should know that HubSpot’s marketing automation platform helps you systematize much of the inbound strategies you’ll perform, taking a lot of the routine tasks off your marketing team members’ plates, allowing them to focus on strategy and techniques. 5. You continue providing information until prospects become clients/customers. This can take time (a few weeks to a few months). After all, people looking for information are by the very definition researchers and research takes time. But once they’re ready to buy, chances are great they will select you as their vendor/service provider instead of a competitor because they now trust you for your expertise, your real investment in their success and your willingness to earn their trust and business. What’s more, you continue to provide this information after they’ve purchased from you so that they’ll continue to purchase from you and/or refer others to you. This blog post itself is one small piece of the inbound marketing strategy. To see another, download our free inbound marketing guide to learn even more details about how this digital marketing strategy truly does work exceptionally well. Ingenex Digital Marketing is a Michigan-based HubSpot Gold Certified Agency Partner, offering digital marketing services to many different B2B and B2C sectors. Contact us for more information on how we can help you attract, close and keep your perfect prospects.